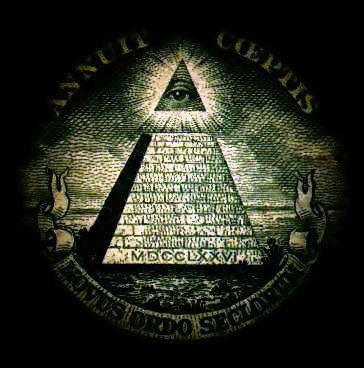 H Carolyn Hamlett is a former member of the Order of the Illuminati. The Hamlett provides further evidence that humanity is a victim of a long evil conspiracy which is now in its final stages, which will try to show through our reinvestigation of the pentapostagma.gr. "The Plan" has a dual personality. The pragmatic nature the project is the sequence of the plan to the letter with the aim of coming New World Order, which is done by the globalists. The Hamlett says: 'I know everything about the draft since I was a small child and I follow up the exact same way that I had confided'. "When I was little, I was told that a member of our organization (one man) will be selected to externalize the global political scene our internal conditions under the pretext of security and global stability." 'The internal conditions of our selected to appear in such a way that the "masses" to adopt them directly in their daily communication and language to desensitization occurs posts and home (pp. pentapostagma.gr and occult) meaning' . The George Bush Sr. was then handpicked by the Illuminati, o that the September 11, 1990 he gave his famous speech on "Heading to a New World Order." ("Toward a New World Order speech"). On September 11, 1990 at 9:09 am by George Walker Bush Ierbert noted that the war in the Persian Gulf is a chance to pop a 'New World Order'. According to Hamlett, the Bush continued to use internal conditions of the battalion in several other speeches. '' World'' was one of those words which has been replaced with the word'' world''. He spoke often about a 'new (global) order of things'. 11 years later by the speech of September 11, 1990, to September 11, 2001, the Illuminati create "terrorist" attack on America, which increases the capabilities and the ability of the organization to push for the implementation of the final phase of implementation New World Order. shout out to ICEUJIN keep strong my old friend.